So I’ve mentioned this a time or two before but I love Walt Disney World and all things Disney. 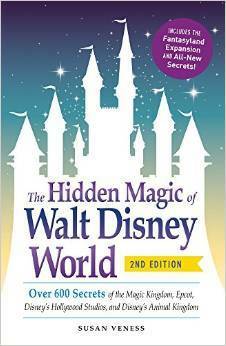 I figure The Hidden Magic of Walt Disney World would be a quick and mildly insightful book to read. It got me closer to my goal of reading 35 books this year while also providing some new information. The most interesting part of this book were the small sections from the Imagineers who worked on different parts of the parks. It’s amazing to see how much detail they put into each attraction, ride, and restaurant at the Disney parks and resorts. While there were a lot of things I have read before (thanks pinterest!) on Disney World, I did learn some new things, such as, the fountain in Epoct when it first opened was filled with water from around the world and the Magic Kingdom has changed and expanded since it first opened in 1971 several times. It will be interesting to see if a newer edition will be written in the next couple of years as the parks change even more with the additions of Pandora, Star Wars Land, and Toy Story Land.